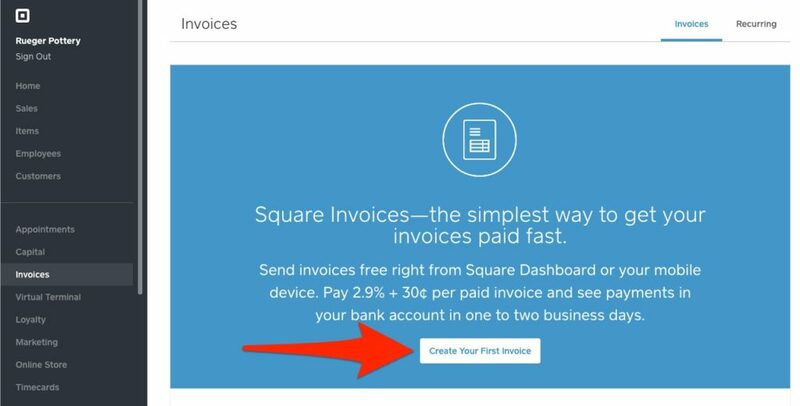 Sending an invoice on Square is free, and allows your customer to pay immediately using their credit card. You are just charged 2.9% + $.30 for the transaction. In this article, we will walk you through how to send an invoice with Square, which is a great feature for any business that invoices clients or vendors. 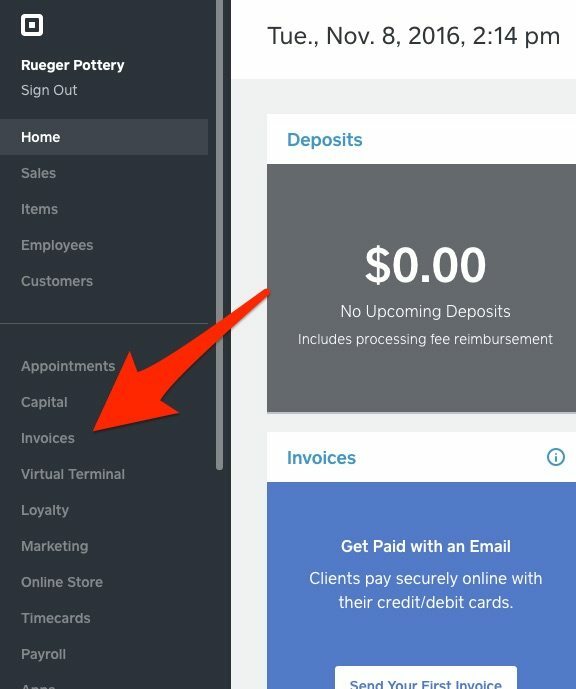 You can send a Square invoice using the Square Point of Sale app or on the Square dashboard on your laptop or desktop computer. Here, we will go over the steps for the online dashboard, but the steps are very similar on a mobile device. 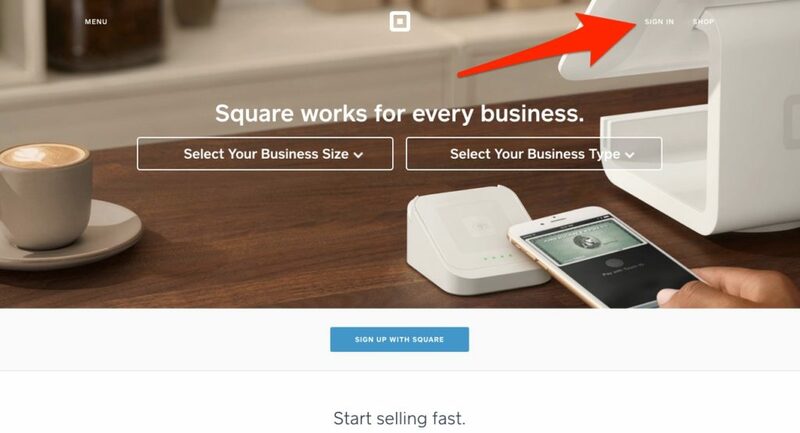 The first thing you need to do is go to Squareup.com and login to your Square dashboard. Simply hit “sign in” at the top right of the page, enter your username and password, and click. Once your main dashboard page loads, you will see a vertical list of text tabs on the left side of your screen. Click on the “Invoices” tab. If this is your first invoice, the screen you see will be similar to the one pictured below. Click on the “Create Your First Invoice” button to get started. Square already has a handy invoice template all ready to fill out for you. Of course it is blank, so what you need to do is add in the information for your client or vendor. Add your client’s name, email address, and other details (such as the title and invoice number). Under “Payment”, you’ll see the option to either send your invoice to your customer via email or to generate the invoice as a PDF which you can then mail or give in person to your customer. This step is very important. Square allows you to set when you want the invoice to send and what you want the payment terms to be. 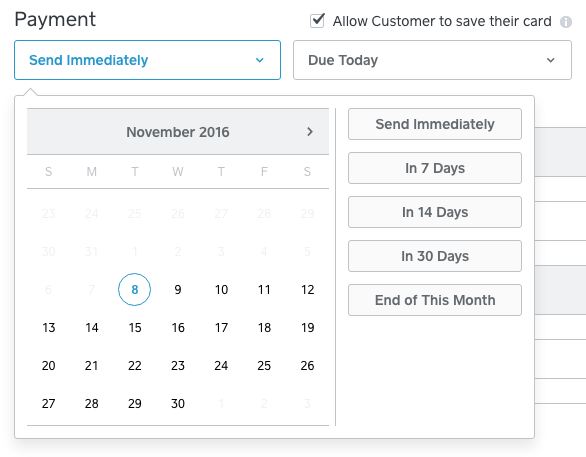 There is a dropdown menu for both send time and payment due date, which allows you to select a specific date or common timeframes, like 7 days, 14 days, end of the month, etc. Choose carefully here. Invoices sent sooner get paid sooner because the product or service is fresh in the customer’s mind. The payment terms you set also affect how quickly you get paid. If you have any inventory items you have configured, you can select them from the dropdown and they will be automatically added to your invoice. But, if you want to add a custom invoice amount, as is often the case with contractors or businesses with one-off jobs, you can simply click on the “Add Item” field, type in a title, click enter, select an amount, and it will create a custom item right there on the invoice for you (as shown below). In some cases, you may have an early payment discount, wholesaler discount, or some other applicable discount for your invoice. If you already have an ongoing discount option set up, simply click on the “Add Discount” field and select it from the dropdown menu. If not, you can create a custom discount, just like you added a custom item. Just click on the field, name the discount, hit enter, enter a percentage or dollar amount (be sure to click the correct sign), and hit enter again. The discount will automatically be calculated into the total. Once you have filled everything out, review the invoice and make sure all your info is correct. If you wish to review again later or are interrupted in the middle of invoicing, you can always hit the “Save Draft” button and return to it later. But, if you are ready to send, simply hit the “Send” button and your invoice will be sent to your client or vendor. Square has a variety of invoice options, even allowing you to set up recurring invoicing (great for businesses with monthly memberships like spas). If your business takes you on the go a lot, then you may want to send an invoice through your mobile device. Sending an invoice through the Square Point of Sale app follows the same steps as above. 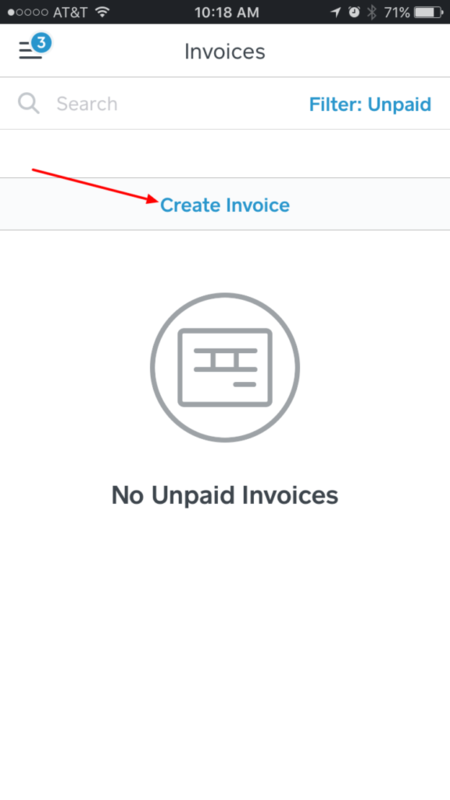 To get started, open your app and click “Invoices” in the drop down menu on the left. Then, follow the prompts to create and send your invoice. That’s all there is to it. The Square invoice fee is 2.9 % + 30 cents, which is charged to your account once your customer pays the invoice using their credit or debit card. There’s no fee to manually send an invoice to a customer, and your customer is never charged no matter how they pay. Be sure to read our reviews of Square invoicing. You can make it even easier to send an invoice with Square by adding inventory items to your account. Once you have your inventory items created, then you can quickly add them to your invoices without worrying about adding the amount and other item details. 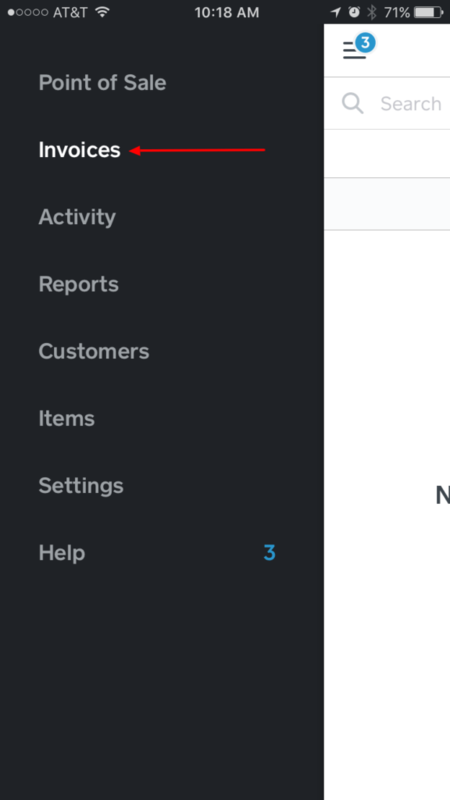 Check out our guide on how to add inventory items in Square.